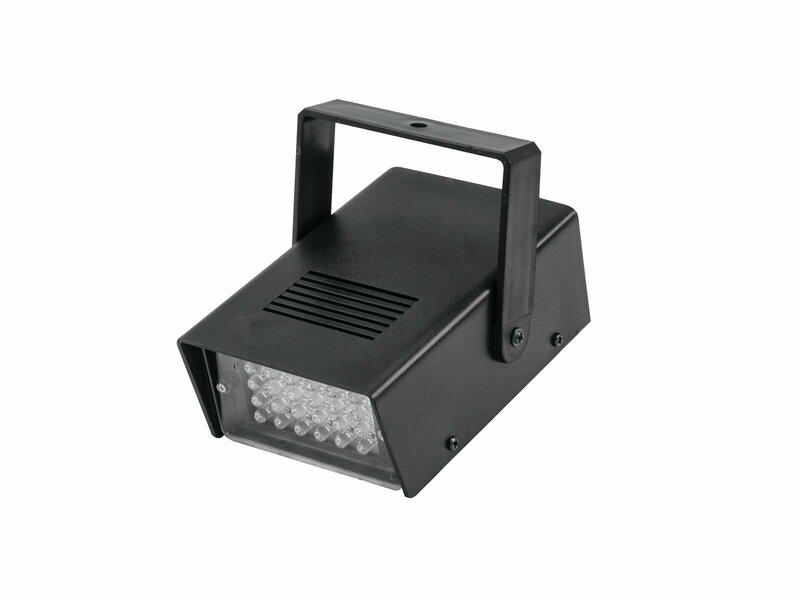 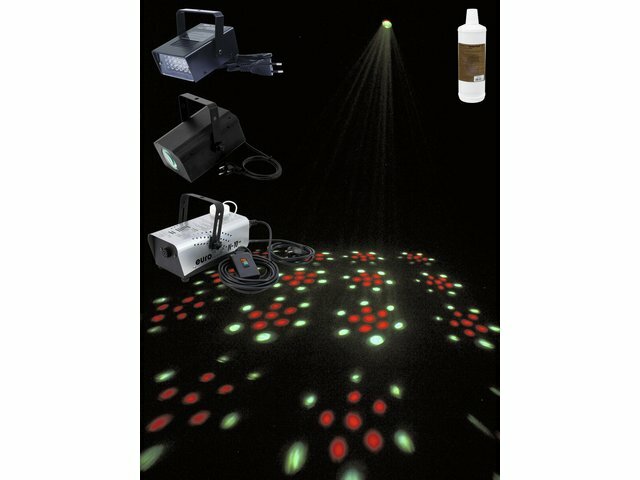 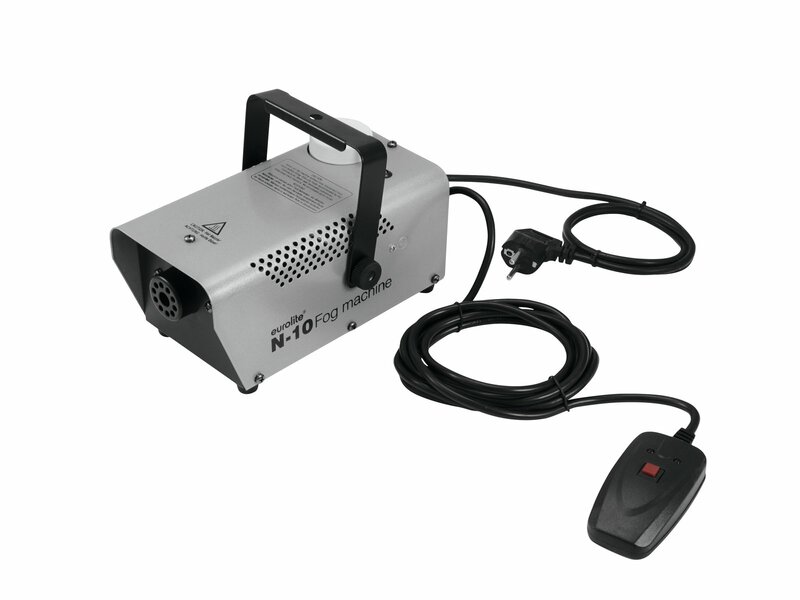 This basic strobe effect is equipped with 24 white LEDs and perfectly suited for your private party room. 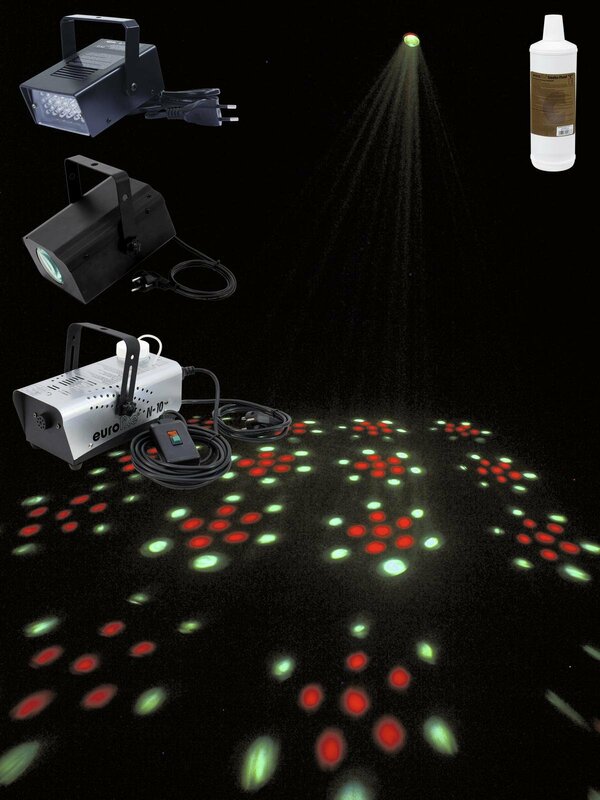 It can be operated in automatic mode as well as by sound control (via the built-in microphone). 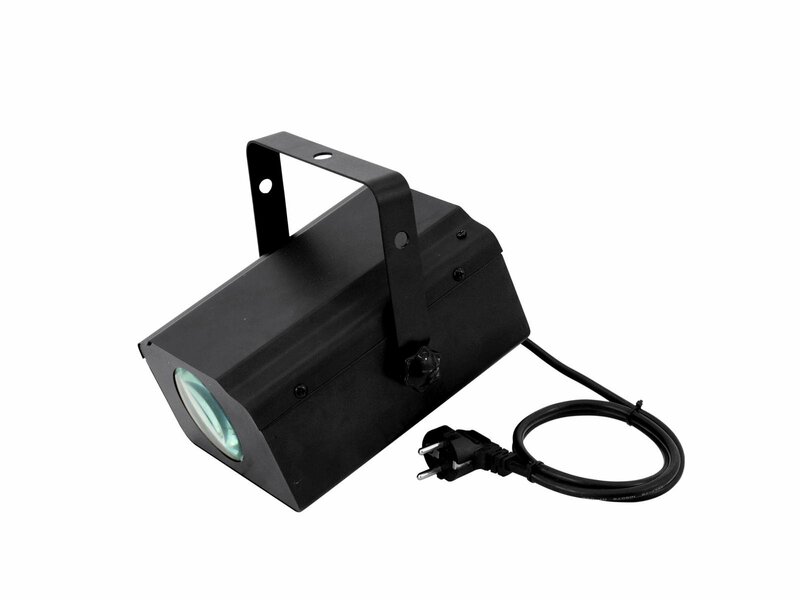 The flash frequency (1-3 flashes/second) and the microphone sensitivity can be adjusted using the rotary control.